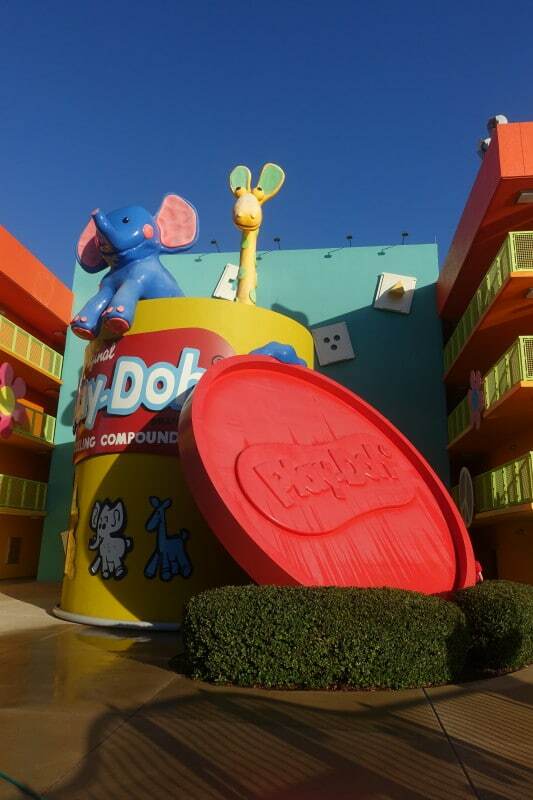 Disney’s Pop Century Resort is one of Disney World’s best-loved value resorts. A room refurb project completed in July 2018 brings to Pop Century refurbed rooms queen beds and coffeemakers–both firsts in value resort standard rooms! A full photo tour of one of these refurbed rooms starts here. Among my 150+ stays (so far!) in Walt Disney World resort hotels, I’ve stayed at Disney’s Pop Century Resort ten times, most recently in July 2017. These stays confirm that for those who can’t afford a deluxe resort, Disney’s Pop Century Resort is the second best place to stay, after Disney’s Art of Animation Resort, and, for families who need queen beds (or coffeemakers), or with mobility issues, it’s number one. 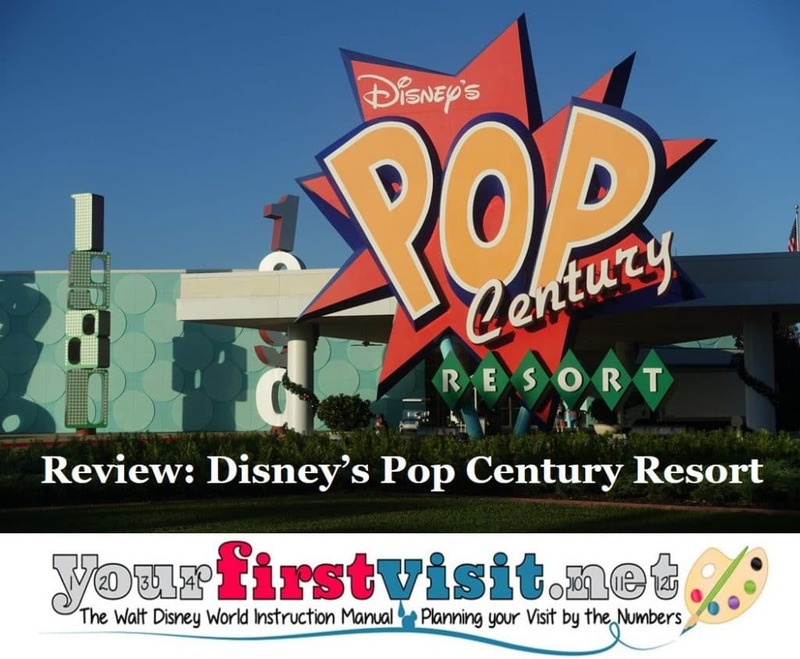 On this basis, Disney’s Pop Century Resort is the second-best value resort for first time family visitors, and would be number one for those seeking queen beds, coffee makers, or with mobility issues. Compared to other Walt Disney World owned and operated resorts, the value resorts are distinguished by having the lowest prices and smallest rooms. Compared to staying off-site, the value resorts are distinguished by their higher kid appeal, convenience, and access to certain key perks that off-site hotels can’t provide. However, if your family will fit, Disney’s Pop Century Resort, like the other value resorts, has much more kid appeal than Disney’s moderate resorts, the next higher price class (about twice as expensive, but with much bigger rooms and nicer landscaping). This appeal comes from the approach to theming they all share: bright and vibrant exteriors, framing much larger than life objects of interest to kids. These objects reinforce that these resorts were designed for the sake of kids…and not necessarily for adults! 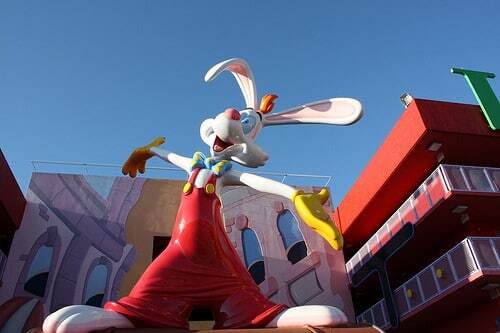 Pop Century’s theme is to recall the later decades of the twentieth century, through enormous statues of toys, games, Disney characters, and other stuff. You’ll find scattered around the resort a Mickey Mouse Telephone, Roger Rabbit, a Big Wheel, bowling pins, Baloo and Mowgli, Lady and the Tramp…all 30 to over 60 feet tall! Elsewhere you’ll find Play-Doh, Mr. and Mrs. Potato Head, a more than life sized foosball game, a pool designed to look like a bowling alley, a four-story laptop, and more. 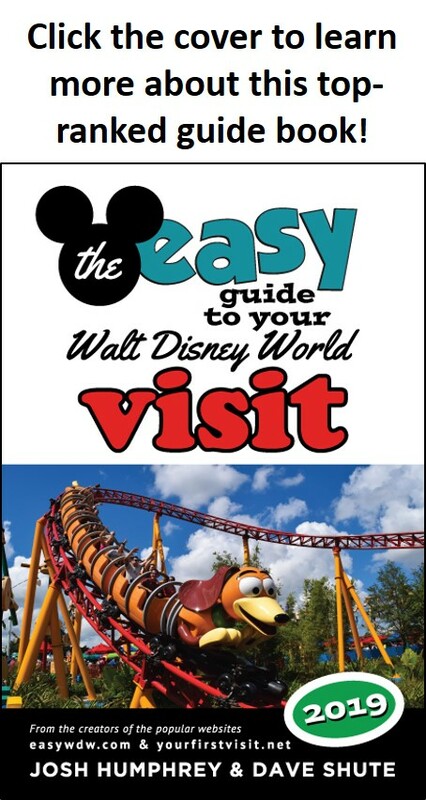 Note that the long-time travel agent partner of this site, Kelly B., can help you book your Disney World vacation at All-Star Movies or anywhere else–contact her at KellyB@DestinationsInFlorida.com or 980-429-4499. 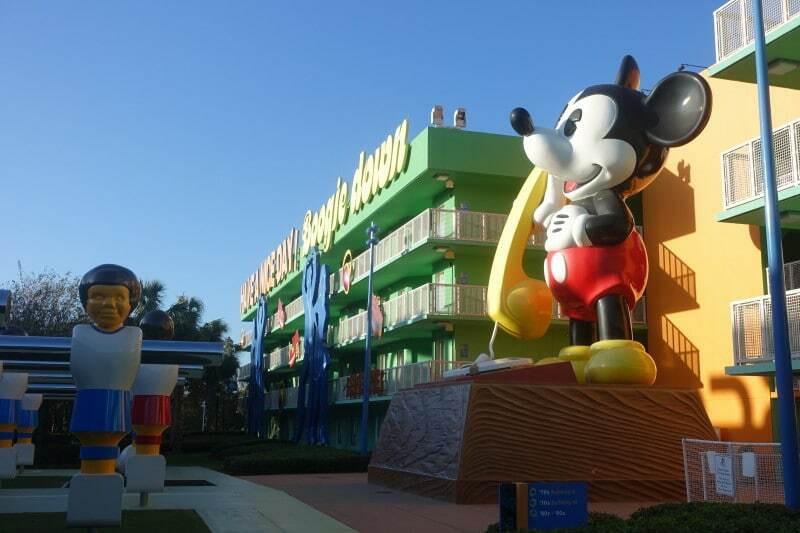 Pop Century completed a room refurb project in July 2018. Refurbed rooms include two queen beds, one of which folds down and makes the dining table go away when it does. Refurbed rooms also have larger TVs, more and more organized storage, more privacy around the sink area, and more power points. A photo tour of one of these refurbed rooms begins here, and there’s more on accommodations at Disney’s Pop Century Resort here. Note that the long-time travel agent partner of this site, Kelly B., can help you book your Disney World vacation at Pop Century or anywhere else–contact her at KellyB@DestinationsInFlorida.com or 980-429-4499. All the value resorts are slim on amenities and limited in their dining offerings. Other than the pools, you’ll find most of Pop’s amenities and all of its dining in the central Classic Hall building. The food court at Pop is better than those at the All-Stars, but not as interesting as that at nearby Art of Animation. You are welcome to use the food court and most amenities–but not the pools–at Art of Animation Resort. There’s more on amenities and dining at Disney’s Pop Century Resort here. Pop Century has three pools. The main Hippy Dippy pool includes pool games, a kids pool, and many evenings movies. 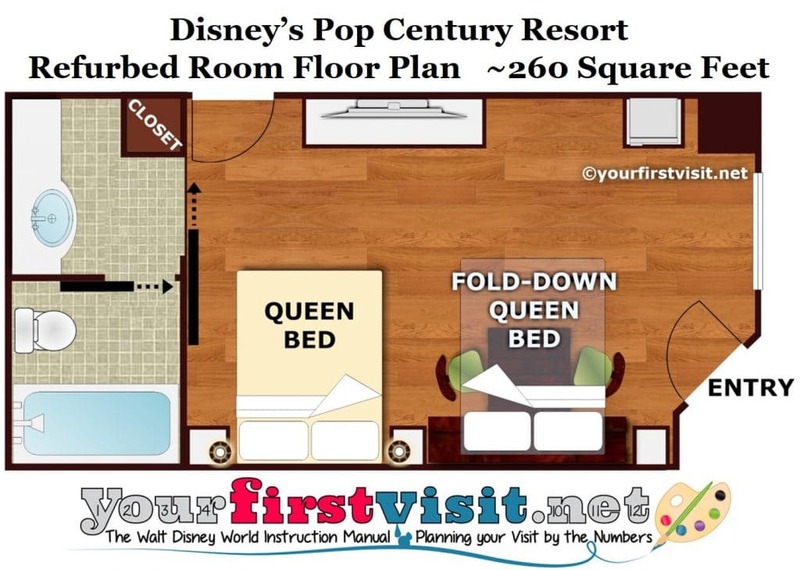 The other two pools–the Computer and Bowling Pin pools–are less fun, but quieter and more convenient to many Pop Century rooms. 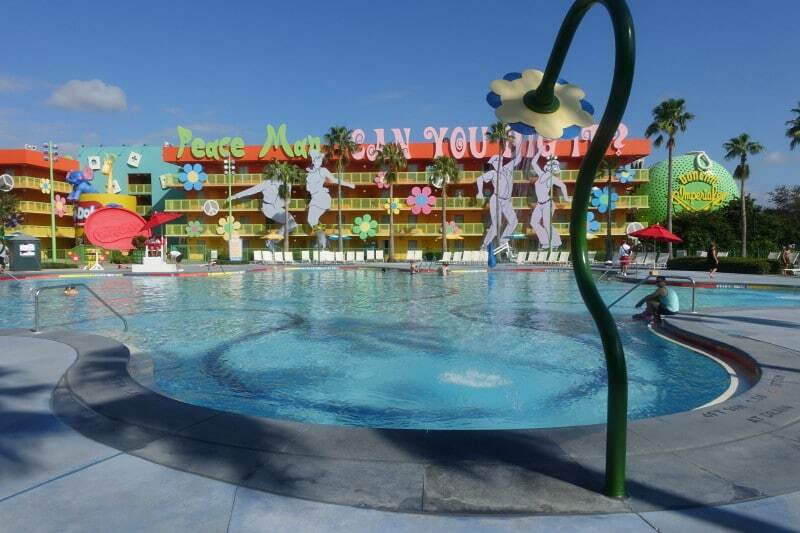 Overall the pools at Pop Century offer both more water and more pool-side space than those at the All-Stars–even factoring in the lower number of rooms at the All-Stars. 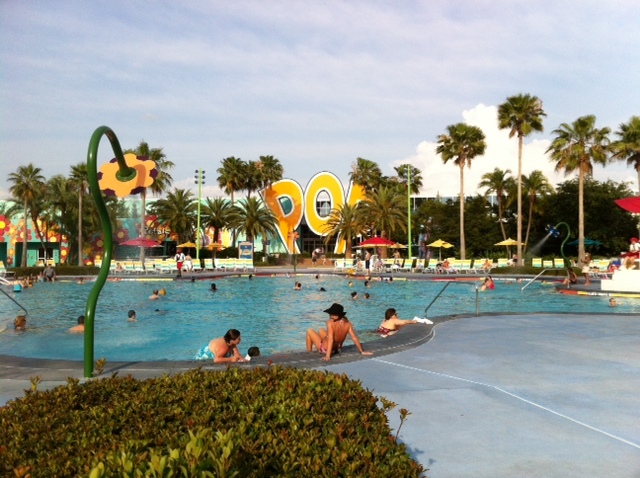 Art of Animation pools overall are better themed but in total probably not so large as those at Pop. There’s more on the pools at Pop Century here. Kip Appeal. Pop is–by a hare–the second most kid-appealing of the values. All-Star Music and Sports are thin on Disney-specific decor, and can be visually dull except to kids devoted to sports or music. All-Star Movies is more kid-appealing than these two, living more richly in Disney’s visual world. Pop Century adds to its own strong Disney visual presence lots of fun toys! Convenience. Disney’s Pop Century Resort is slightly more convenient than the All-Stars, and in general as convenient as Art of Animation. Compared to the All-Stars, it is more central. 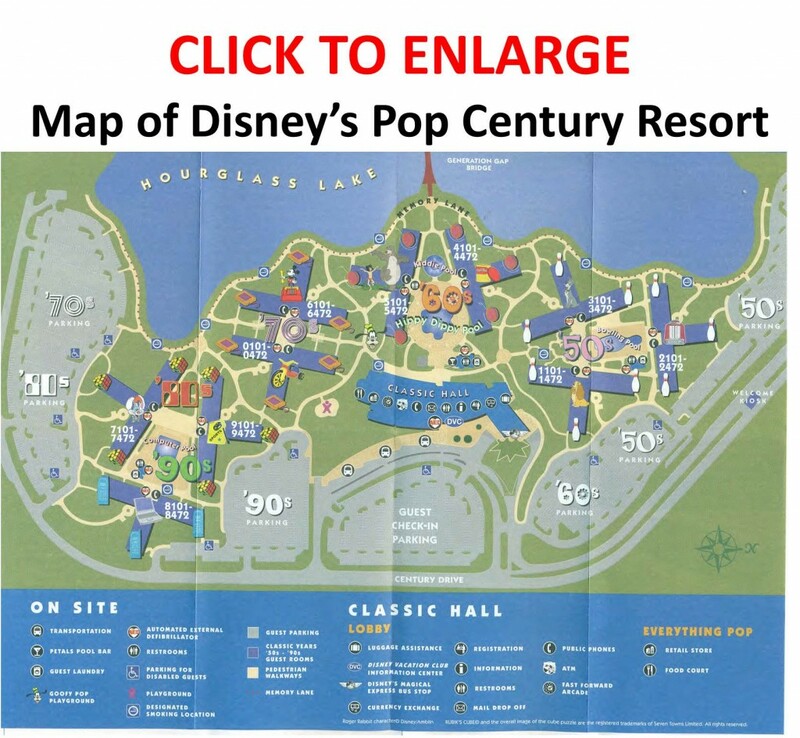 Pop Century is quite centrally located. Each of the All-Star resorts has only one bus stop, but they share some of their buses with one or both of the other All-Stars. 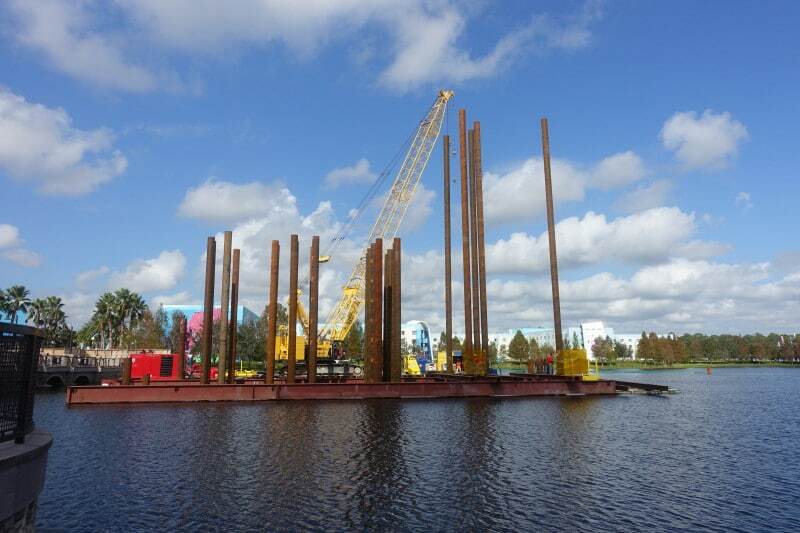 Moreover, in the fall of 2019, Pop Century will be linked by the new Disney World gondola system to Epcot and Disney’s Hollywood Studios. The gondola station (construction photo above) will be shared with Art of Animation and located on the bridge between these two hotels. Pop is a little easier to get around than is Art of Animation for those in standard rooms. The standard rooms at Art of Animation are more distant from the hotel’s central services than most of Pop’s are. Other distinctive features. Pop and Art of Animation are the only values on a lake; Pop is also (slightly) more graceful, and (slightly) less garish, than the All-Stars. Refurbed rooms at Pop offer the only queen beds–and only coffeemakers–among value resort standard rooms except for refurbed rooms at All-Star Movies. Disney’s Pop Century Resort is divided into areas named for decades from the second half of the last century–’50s, ’60s, ’70s, ’80s, and ’90s. Of these, a fourth floor room in the ’70s area with a lake view is the best place to stay. 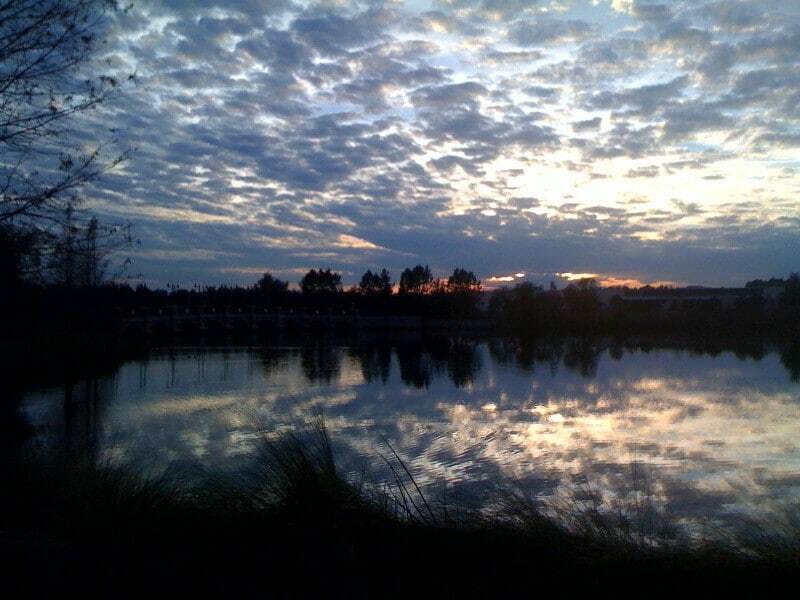 The lake view speaks for itself. The ’70s area is the only one at Pop Century not built around a pool, which makes it quieter. The fourth floor is also the top floor, which improves the lake views, and makes it quieter as well. 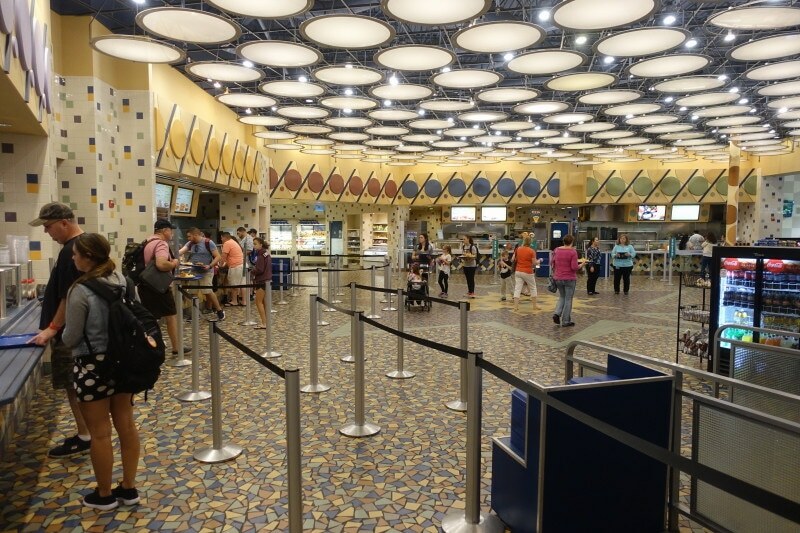 Below is the on-line check-in form. Families than cannot afford a deluxe resort, or who are otherwise on a tight budget, who can fit into its small rooms, and don’t wish to, or can’t, stay at Art of Animation. Families who are tall or otherwise won’t fit into the full-size beds in Pop’s not-yet-refurbed rooms, or who have more than two adult-sized people, or who will be using a crib. We were just at Pop Century a few months ago. 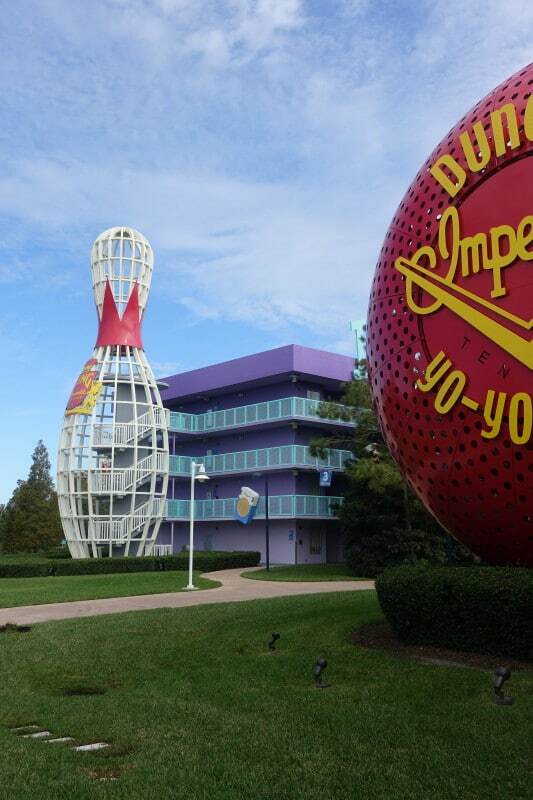 Pop Century is our go-to hotel when we visit Disney. 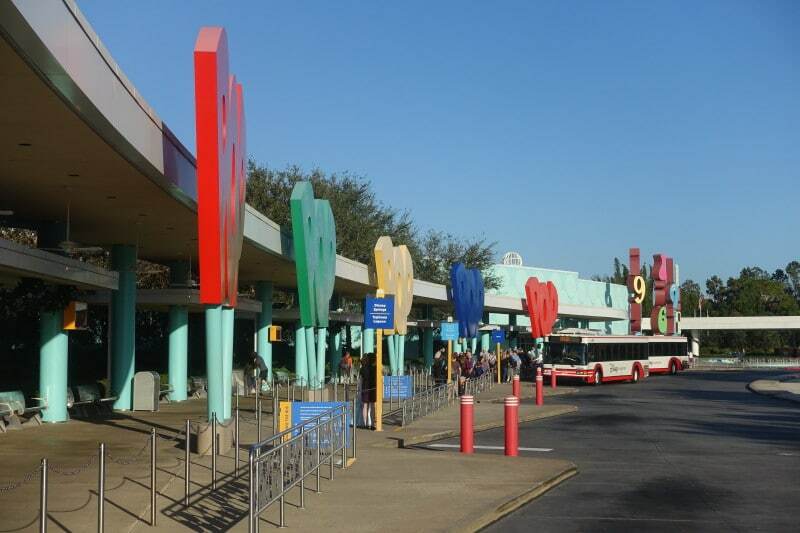 For traveling with a toddler, the compact nature of the resort and the fact that the buses only service Pop Century are the two biggest positives. With a 3 year old, not having a table service restaurant or water slides is not a deal breaker. Do you have any information about the buildings that are left to refurbish? I have booked a preferred room in July and requested the 60’s section. Do you know if that section is being worked at the moment or it’s done? So I should maybe request another section, I do not want to take my chances and get a preferred that it’s not refurbished. Ana, all rooms are either refurbed or closed to be refurbed, so you are set! On the gift cards, if available you may get an email offering you them, or can go to the front desk. Either way online check in matters not, as the desk is still available to you to talk to!! PS I think the gift card is for number of nights minus one–they still have to clean after you leave, hence the missing night.